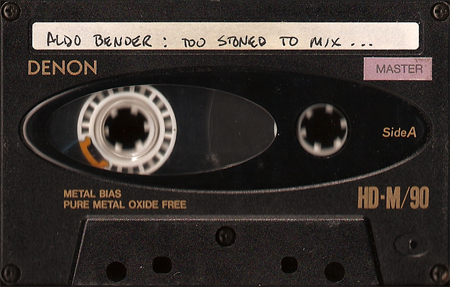 Aldo Bender was nice enough to send me the masters for 6 of his old tapes, 3 of which were part of the same series as the Happy Wednesdays mix I posted here back on April 10th, 2008. This is the first of the 3 mixes that continue that series. 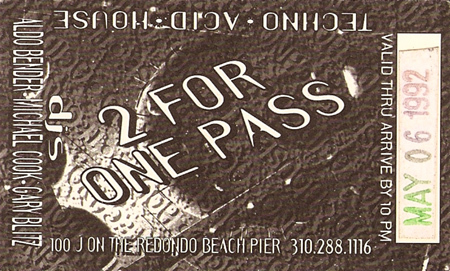 A classic mix by Los Angeles DJ Aldo Bender. 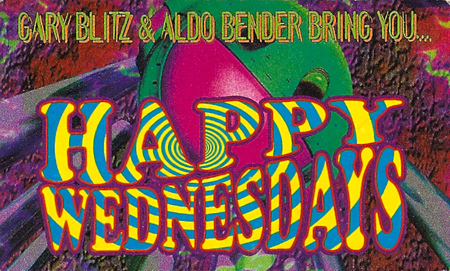 This was a promo for a weekly club called Happy Wednesdays back in 1991/1992. Give a listen. If you like early 90’s techno and house you’re sure to enjoy this mix. Return Of The Living Acid – Get Funky!